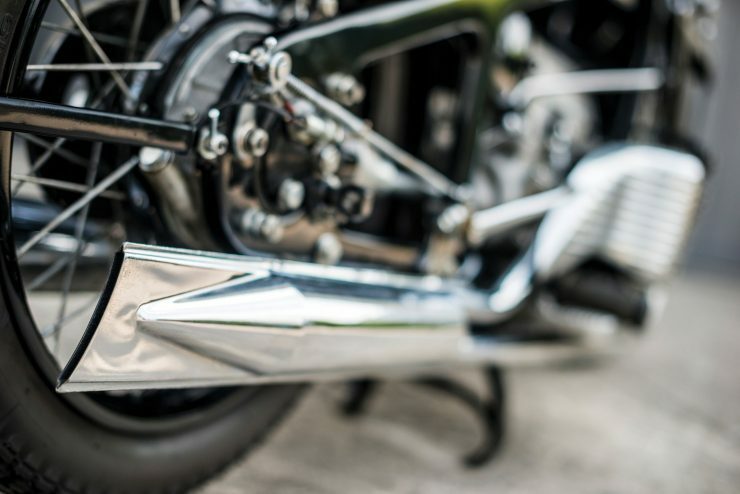 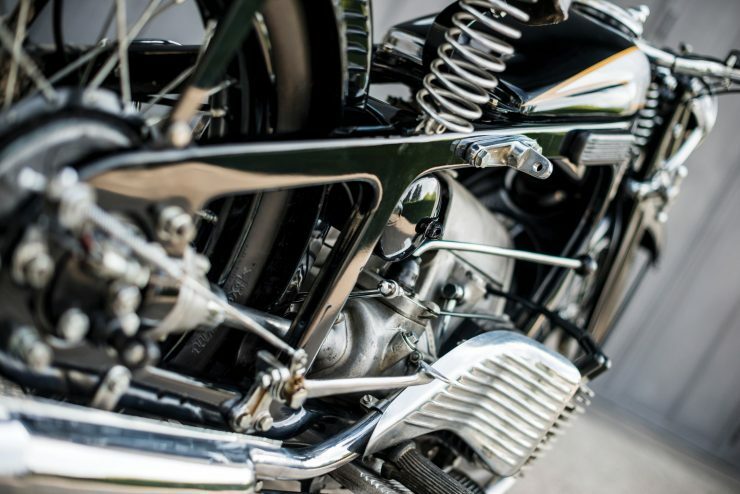 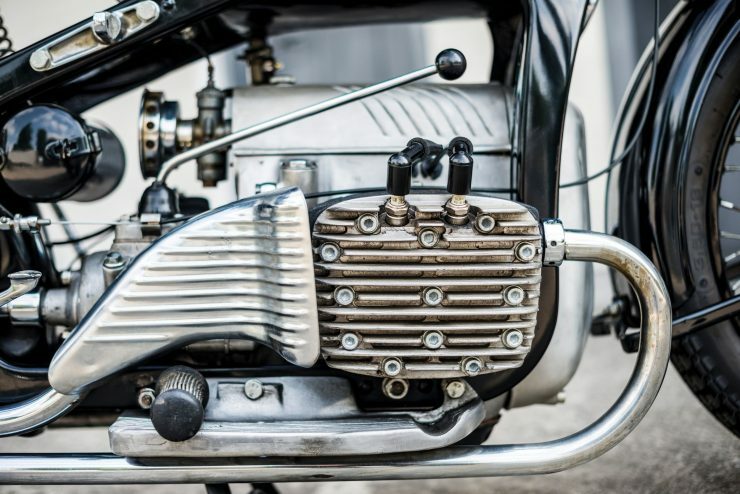 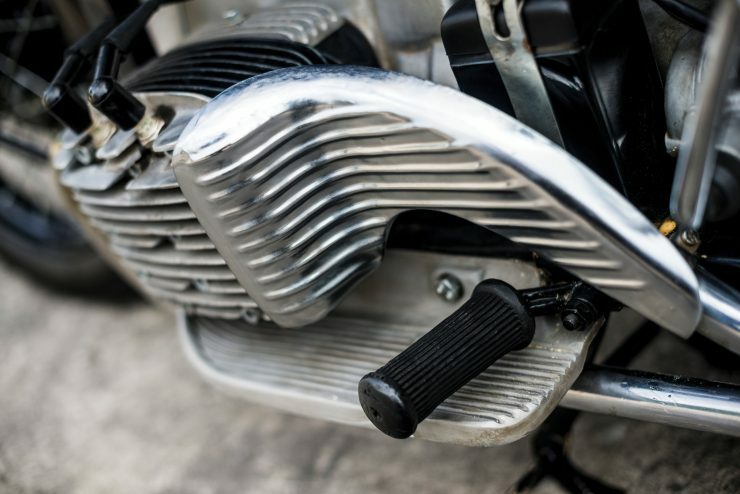 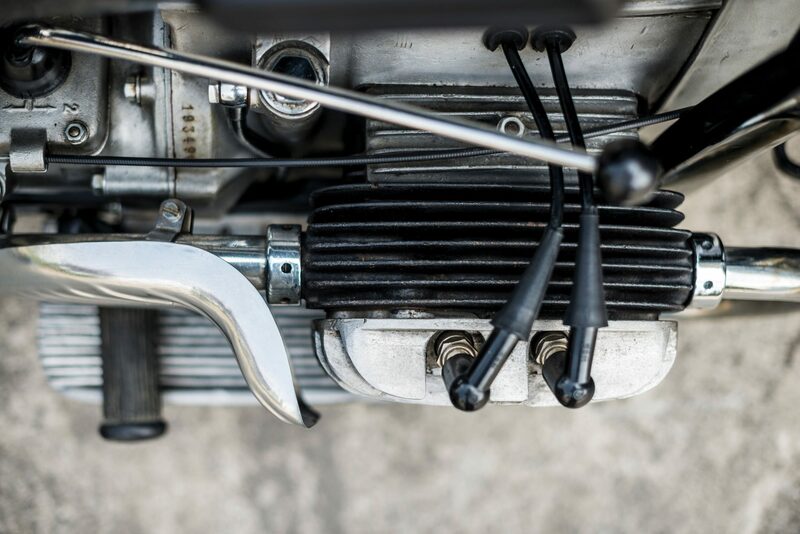 Decades before the Honda Goldwing appeared on the scene there was already a horizontally-opposed 4-cylinder engine installed in a motorcycle, by a German marque called Zündapp. 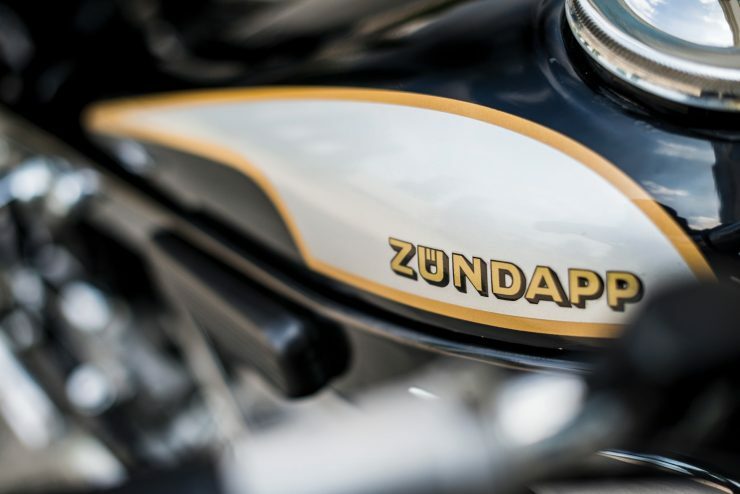 Zündapp had started out as a machine tool and armaments manufacturer in 1917, after the war in 1921 the company diversified into motorcycles – launching the Z22, known as the Motorrad für Jedermann (“motorcycle for everyone”). 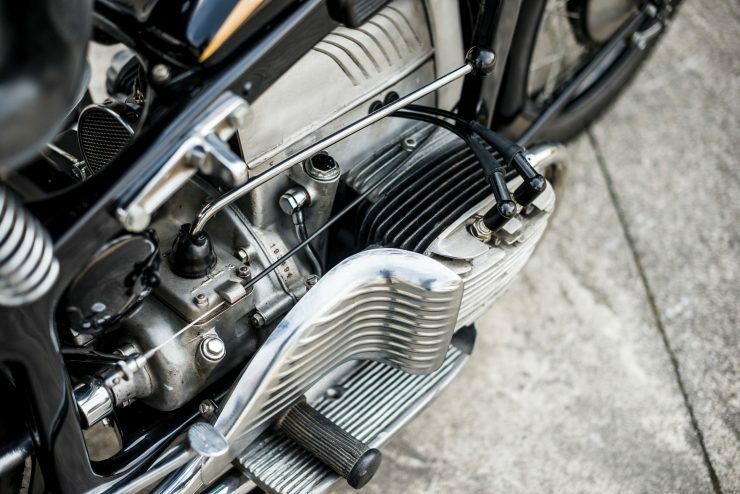 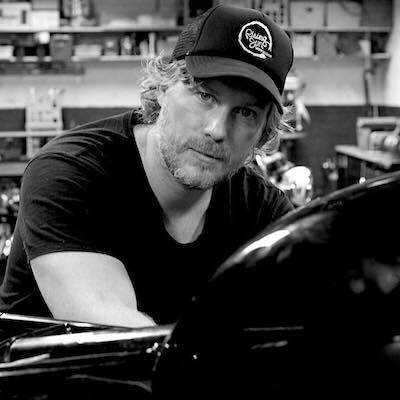 The company started building larger motorcycles in 1933 with the K-series, these motorcycles used a relatively advanced for the era drivetrain including an enclosed shaft drive. 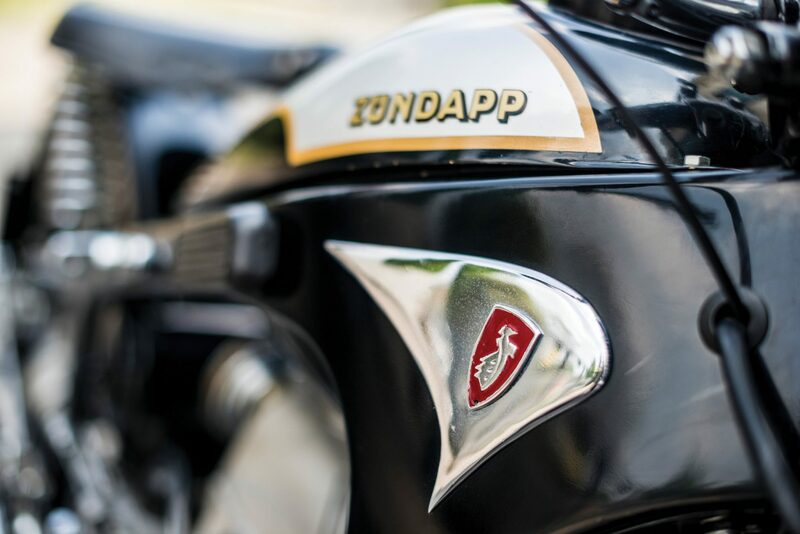 During this same time Zündapp commissioned an automotive engineer named Ferdinand Porsche to develop them a simple motor car to further diversify their product line. 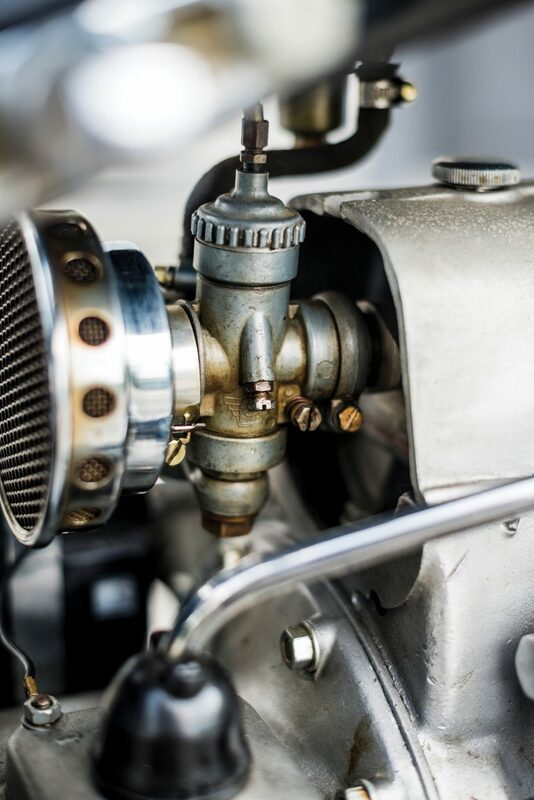 Porsche designed the Type 12, and although he preferred a rear mounted flat-4 horizontally opposed engine, Zündapp insisted he use a water-cooled 5-cylinder radial engine. 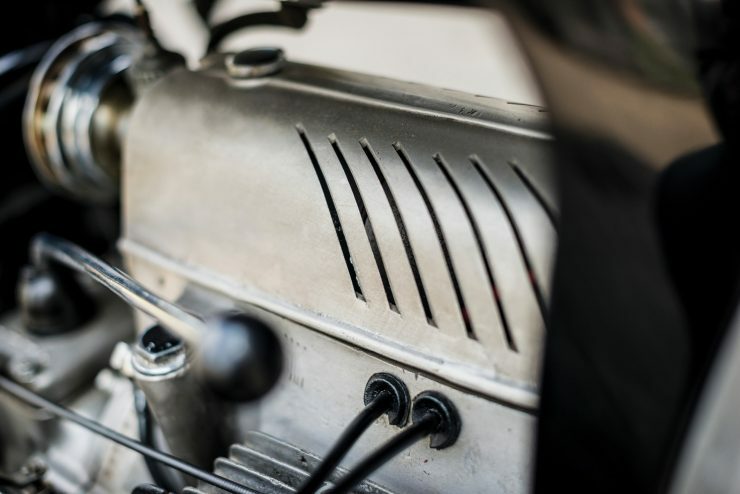 Porsche had 3 prototypes completed by 1932, and in 1934 Adolf Hitler commissioned Porsche to create a new Volkswagen (“people’s car”) – the design of which was very similar to the Zündapp Type 12 prototypes, though now fitted with Porsche’s preferred flat-4 engine. 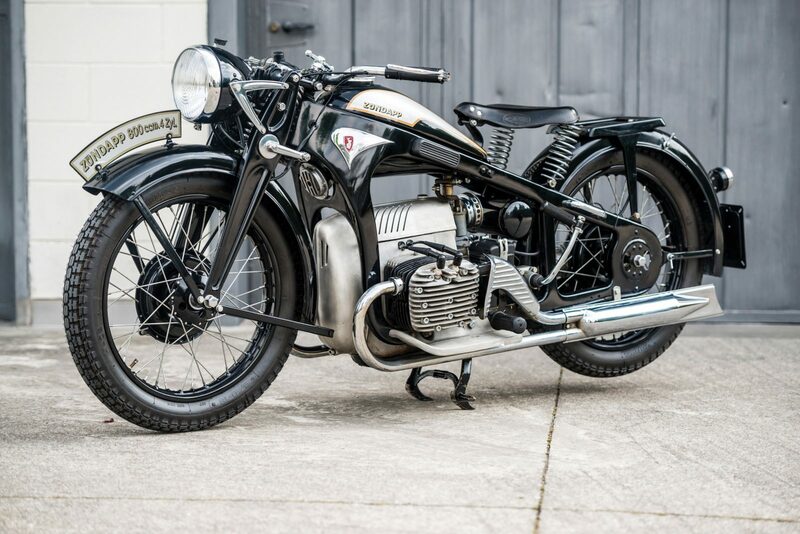 The Zündapp K800 appeared in 1933 with its unusual horizontally opposed 4-cylinder 798cc engine, its smaller sibling the K600 had the same engine with a capacity of 598cc. 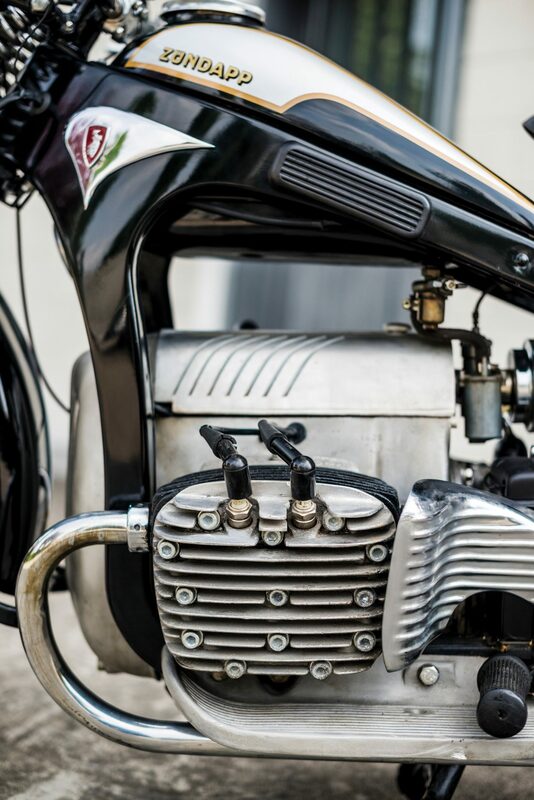 These larger-engined Zündapps were ideal for use with sidecars – thanks to their relatively powerful engines, strong pressed steel frames, and rugged girder forks. 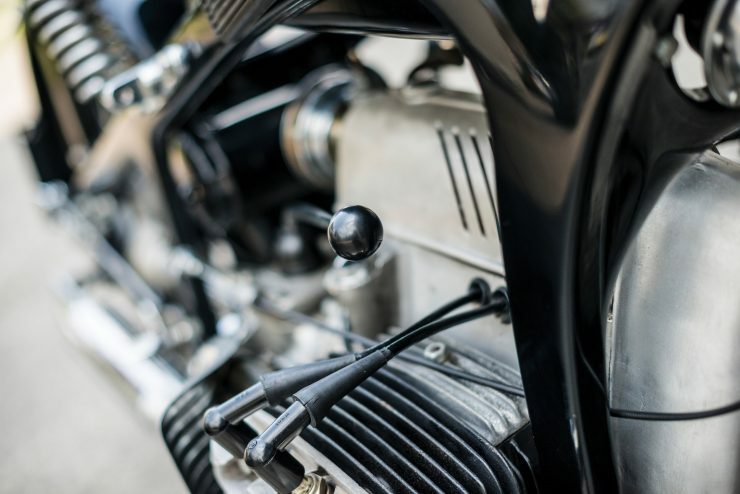 The engine architecture of the K800 was well ahead of its time, it uses unit construction, a shaft drive, and a 4-speed transmission with a hand shifter above the right side cylinders. 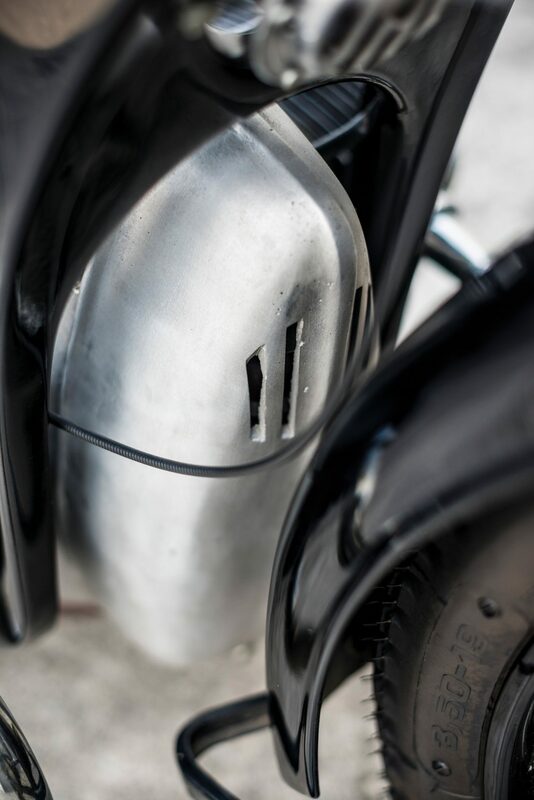 It was fitted with a two-into-one exhaust on each side – elegantly meeting at the muffler just before the rear wheel hub. 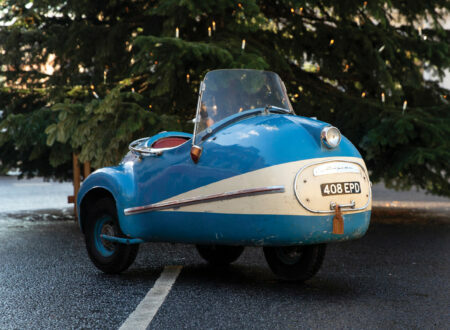 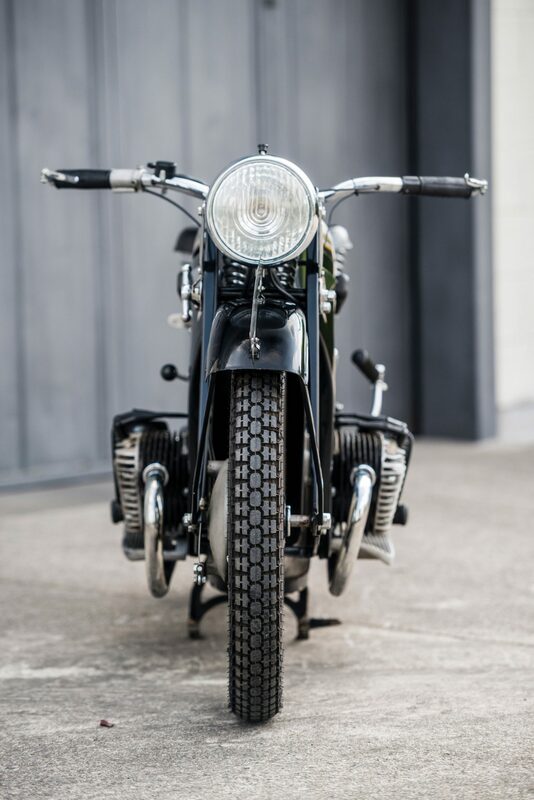 A similar chassis was used on the legendary Zündapp KS750, of which 18,000 were built with sidecars for use by the German Wehrmacht during the Second World War. 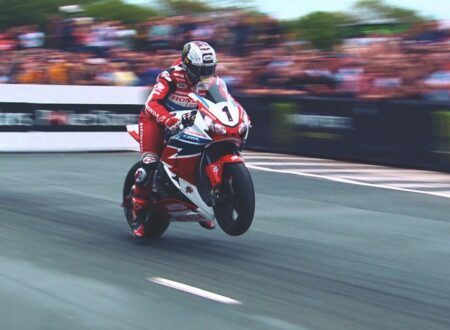 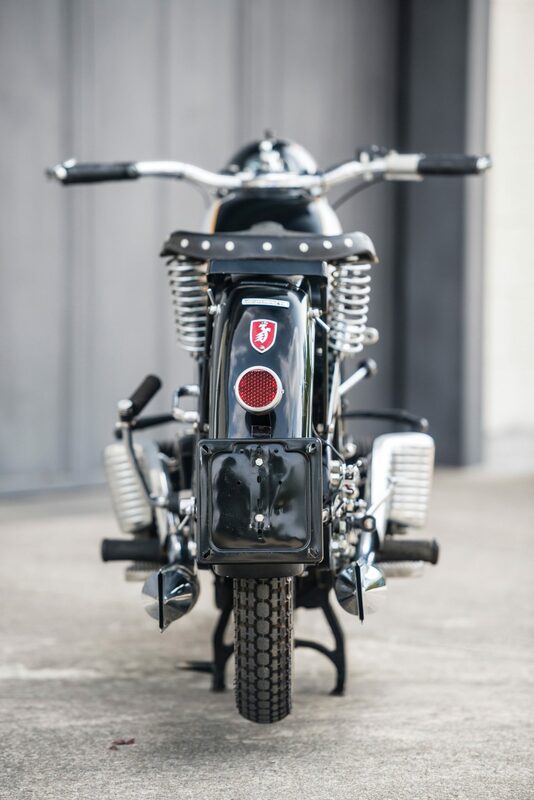 The K800 is often mistaken for the KS750 – thanks in part to the narrowness of the barrels and heads – giving the appearance of a 2-cylinder engine to the uninitiated. 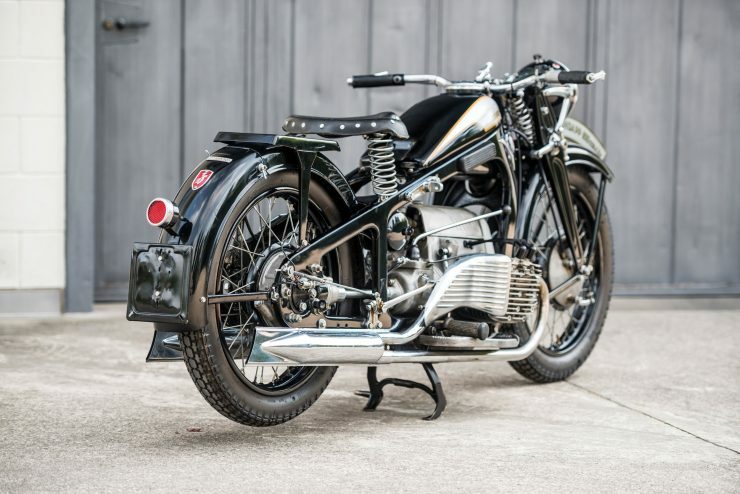 Many consider the K-series Zündapps to be amongst the most beautiful of the pre-WWII motorcycles, and the K800 takes pride of place just ahead of the KS750 as the largest and most powerful model. With 26 hp it was well-suited to use on the autobahns of Germany that had first started appearing in the 1920s and ’30s. 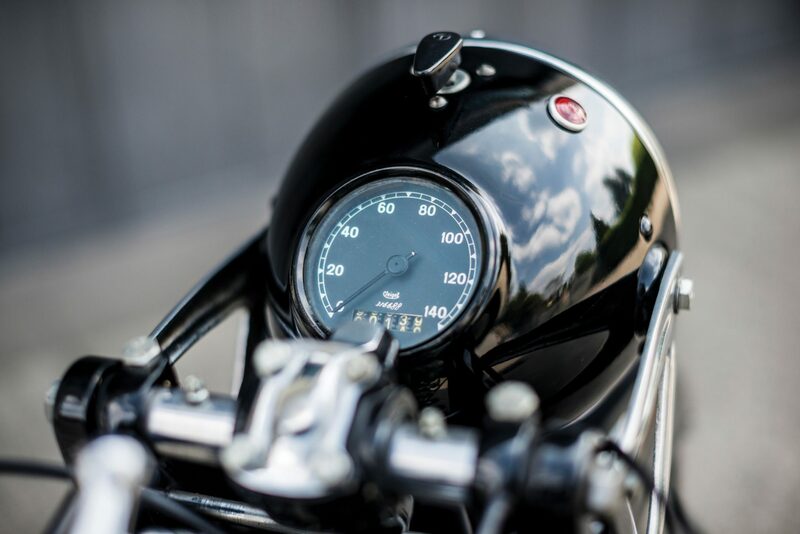 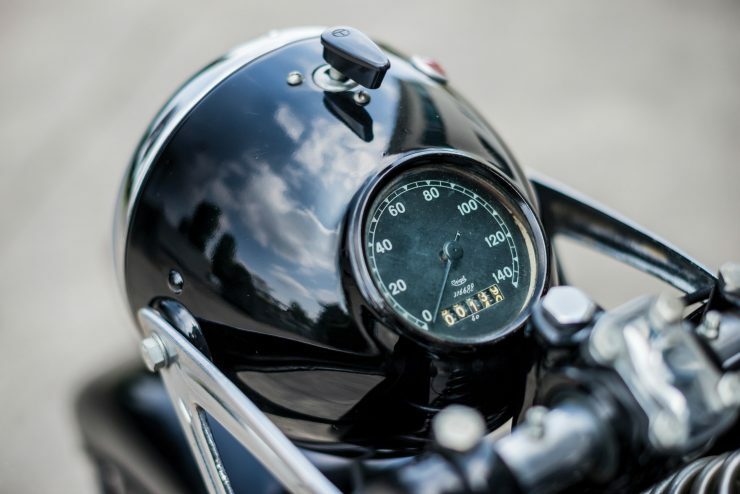 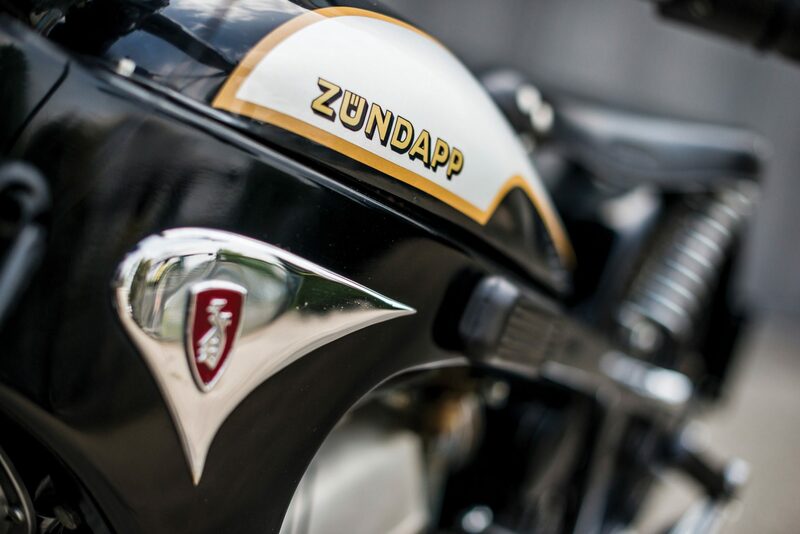 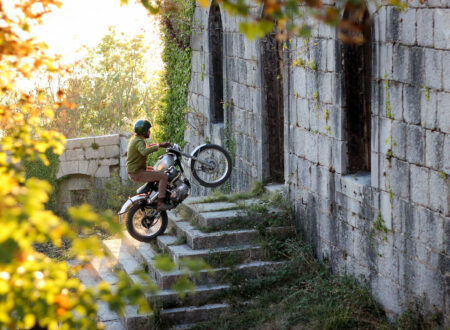 Surviving K800s have been in significant demand with motorcycle collectors and enthusiasts, both because of their looks and their performance ability – many pre-WWII motorcycles struggle to keep up with modern traffic, but not the Zündapp. 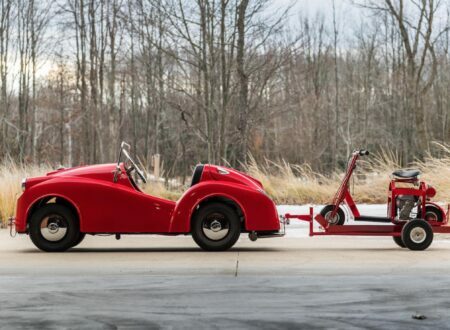 The all-original 1937 example you see here was comprehensively restored in 2014 with extreme care taken to preserve its originality. 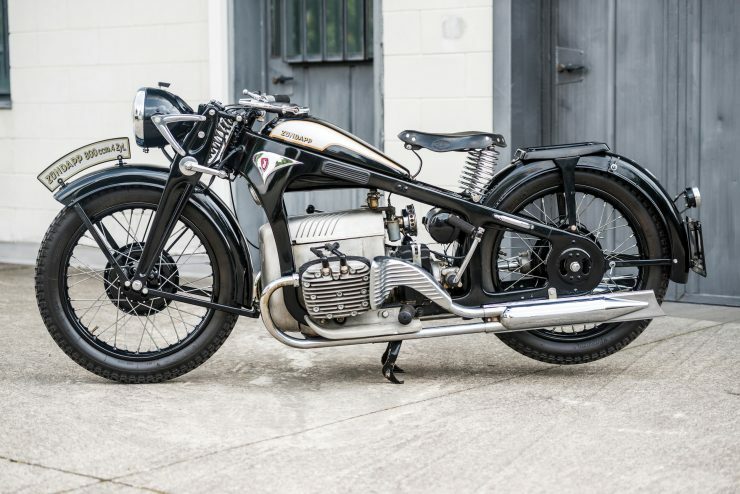 It’s a matching-numbers example with its original frame and engine, just 550 were originally made and its not known how many have survived – but there’s no doubt that this is one of the best examples you’ll find anywhere. 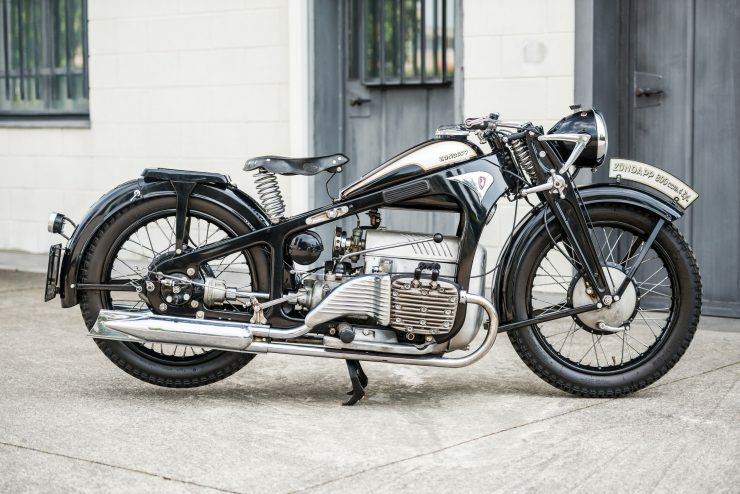 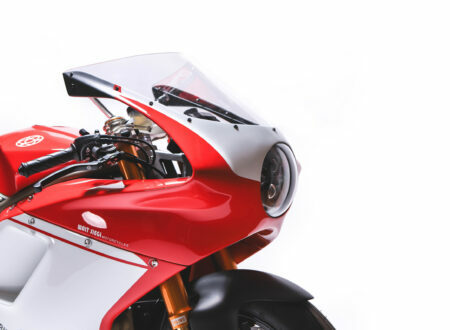 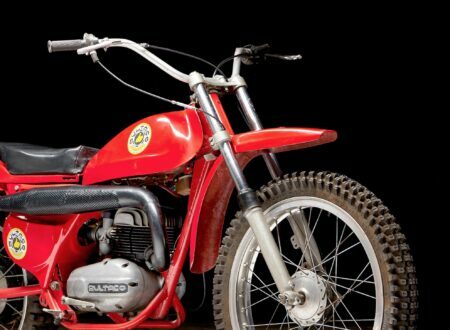 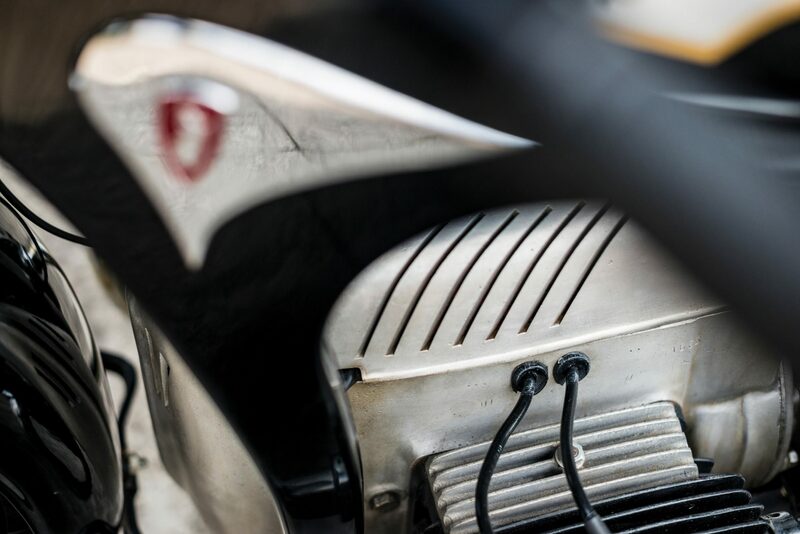 If you’d like to read more about this bike or register to bid on it you can click here – it’s due to roll across the auction block with RM Sotheby’s on the 27th of May at the Villa Erba sale with an estimated value of between €20,000 and €35,000.